Pro montory Press, of Victoria, BC, is thrilled to announce the acquisition of REJOICE, A Knife to the Heart, a new literary science fiction novel from bestselling author Steven Erikson. Promontory publisher Bennett R. Coles bought the rights from Howard Morhaim of the Morhaim Literary Agency. The deal is for North America. Rest of World rights have been sold to The Orion Publishing Group, an imprint of Gollancz, of London, UK. REJOICE begins with what appears to be a UFO abduction of science fiction writer Samantha August as she walks down a busy street in Victoria. But when Samantha wakes up in a small room and is greeted by the voice of Adam, she quickly learns that a much bigger event is unfolding. Thus begins a provocative, beautifully written and startlingly visionary novel of first contact. Erikson’s canvas spreads around the entire world (and beyond) and ultimately asks the question: what would humanity do if our ability to hurt each other was taken away? 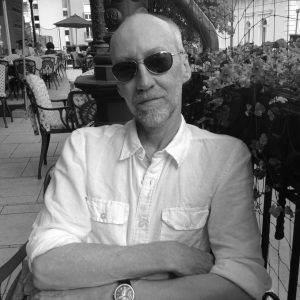 About Steven Erikson: Archaeologist and anthropologist Steven Erikson’s debut novel, Gardens of the Moon, was shortlisted for the World Fantasy Award and set readers on the epic adventure that is his acclaimed ‘The Malazan Book of the Fallen’ sequence. He is a New York Times bestseller and his books have sold over ten million copies worldwide. He lives in Victoria. Promontory Press was founded in 2010 and has worked quietly for years at discovering and nurturing talented new authors, as well as publishing Canadian literary veterans such as bestseller Rafe Mair. Promontory is a member of the Literary Press Group of Canada and the Association of Book Publishers of BC. The company is based in Victoria.